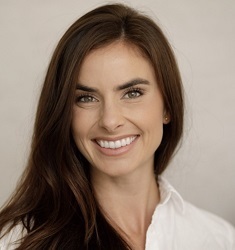 Dr. Natalie McCrackin graduated from the University of the Pacific Arthur A. Dugoni School of Dentistry in San Francisco, California. After graduation, she completed a General Practice Residency at Brookdale Hospital Medical Center in Brooklyn, New York. Dr. McCrackin worked in private practice in her home state of California before returning to New York. Her warmth, humor and gentleness put patients at ease and help make the dental experience pleasant for patients of all ages. In her free time, Dr. McCrackin enjoys cooking, exercising, and exploring her neighborhood of Nolita and beyond.